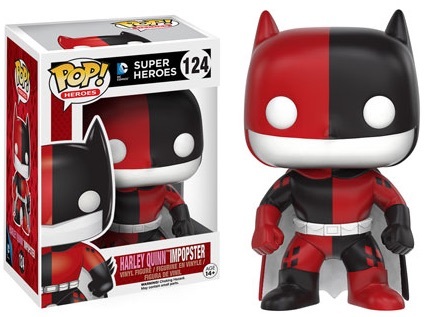 In the superhero world, there can be a fine line between good and evil and that line is even more blurred with the debut of 2016 Funko Pop Impopsters vinyl figures. 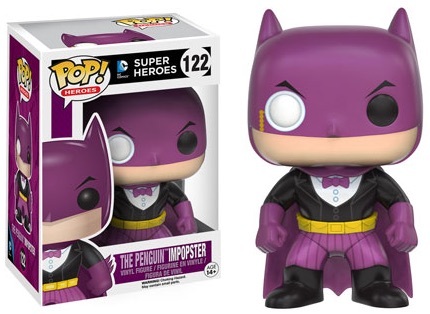 The imposters of the Pop! 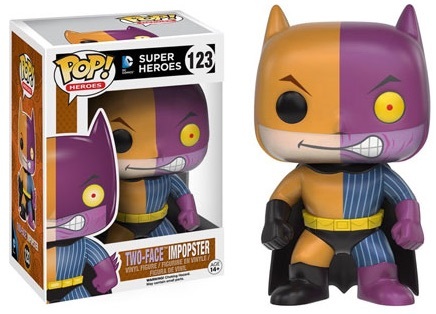 world merge famous villains from DC Comics with either Batman or Batgirl to produce a distinctly unique creation that is still very familiar. 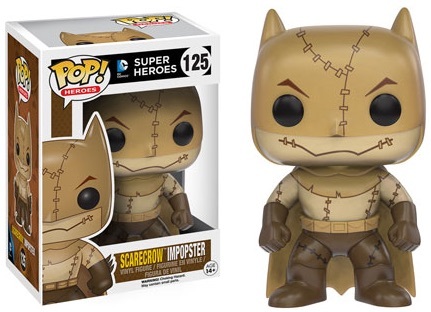 Each featuring the standard sculpt for Batman or Batgirl, eight figures comprise the initial batch of 2016 Funko Pop Impopsters. 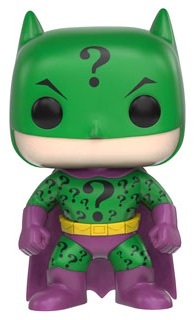 The villains that are donning their best Batman getup include The Penguin, Two-Face, Harley Quinn, Scarecrow and The Riddler. 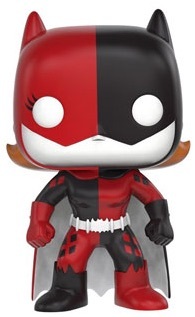 Harley Quinn makes a second appearance with her take on Batgirl and is joined by Poison Ivy. 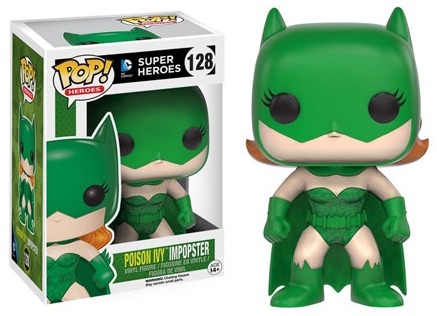 The 2016 Funko Pop Impopsters vinyl figures are numbered as part of the Pop! Heroes line. Each standing approximately 3 3/4" tall, the figures will be released from July to November in groups of one or two figures per month. 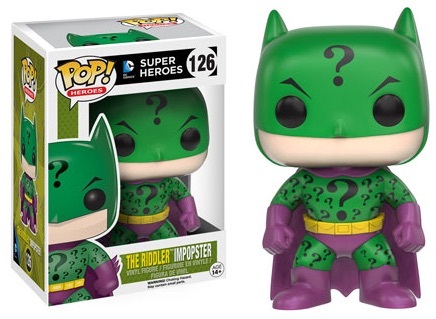 Estimated release dates for each figure are noted below. 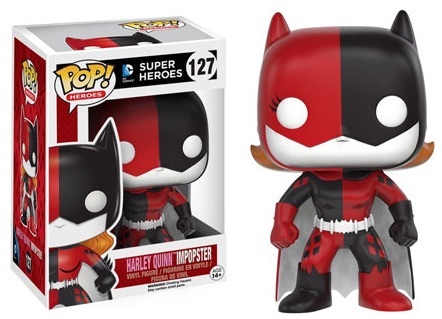 Funko Dorbz Two-face & Harley Quinn Pocket IMPOPSTER Black Friday Walmart Exc.